Saybucks says it is an online community where you can earn by sharing your opinions. There are many sites that offer this, but also many that are just a waste of time. So is Saybucks a scam or is it one of the legit survey sites that is actually worth it? I have checked out the panel to see what it really offers. In this Saybucks review, I will show you all the details about what you can get out of being a member so you will easily be able to see if it is worth your time or not. 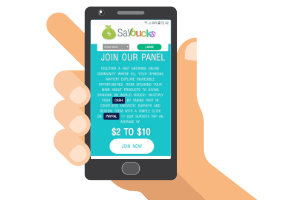 Saybucks is a paid survey site which means you can get paid for answering surveys and sharing your opinion. When I joined Saybucks, it right away looked very familiar. I could see that it is a panel that offers surveys from the research company Cint. There are many survey panels that offer this and many of them look very similar and offers more or less the same. So after logging in it more or less looked like a site like Panel Champ I recently reviewed. This is not a bad thing – it is just to let you know that if you have joined Panel Champ or another survey panel using Cint, then the site will look very familiar. There are, however, also some differences. So below I will go over what you find once you are logged into Saybucks. First, I just want to make it clear that one of the advantage of panels that use Cint is that they are backed by a big and legit company. So you know you will be able to get paid. However, often Cint panels do just not offer a huge amount of paid surveys, in my experience. That does not mean it cannot be worth it. So let’s now go over what you find on the inside so you can see and judge for yourself. What happens after you join Saybucks? Saybucks is very easy to join. You just fill out a short form on the Saybucks website. The options you have inside Saybucks. You can take some profile questions and you can go to the reward section to get a payout. This means that as a member of Saybucks you do not really need to log in very often. You just initially can fill out the profile questions but then you will receive available surveys via email. The only time you then have to log into the site is when you want a payout. They encourage you to fill out your profile to help you qualify for more surveys. These are, for example, short questionnaires about your household, occupation, education, and more. Some of the profile categories. 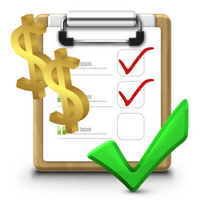 It is normal to fill out a short questionnaire to be able to match you with surveys. However, there are A LOT of these profile questions on Saybucks compared to most other survey sites. In total there are 128 questions for you to answer. It would properly take your around 30 minutes to do. On most other survey sites it will only take a few minutes. And on many sites, like, for example, a site like Toluna Influencers, you will get paid for filling out your profile. This is not the case on Saybucks. You do not get paid to fill out your profile and it takes quite a while. You do not have to fill it out, but they say it will help you qualify for more surveys. So you just need to be aware of this and that it initially will take some time that you will not get paid for. Other than that, Saybucks is very user-friendly and easy to use once you have filled out your profile. But it does not offer a huge amount of surveys. Maybe 2-8 per month depending on where you live. Sometimes it might be more and sometimes less. Now you know what kind of opportunities Saybucks offers. You, of course, also need to know how you will then be able to get paid. Every time you complete a survey on Saybucks, you get paid in dollars. Once you reach the threshold of $10, you can request a payout through PayPal. PayPal is a great payout method and one of my favorite ways to get paid from survey sites and $10 is a pretty low threshold. So that is all good. Because of the fairly limited number of available surveys on Saybucks, there are, however, PayPal survey sites with a lot more opportunities, in my experience. But Saybucks definitely offer a good payout method. You just need to be aware of the conditions. Before you join, you are told there are no hidden fees. According to a pop-up that tells you about the rewards when you are on the website, there are no taxes or hidden fees for the prizes. Also, it says that what you earn is what you get. Depending on how you define this, I would argue this it is not exactly true. Once you are inside you can read the conditions for getting paid through PayPal. The PayPal conditions show there is a fee for paying out. Here it says that PayPal will charge a 2% handling fee. So there is a cost like that. It is not high and it is apparently taken by PayPal, but you just need to be aware of this as it can be very disappointing to request a payout and then get less than expected. Also, be aware that according to the terms, you need to log in to PayPal and accept the payment within 30 days for it to go through. This is a bit strange and something I have never seen on other survey sites. Usually, the money will just be transferred once you have requested it. It is not really a problem as it only takes a few seconds. You just need to be aware to remember it to get your money. One thing I noticed on the website of Saybucks before you log in is that there is a section where it describes why you should use their panel. Here it says that you can make big bucks. Saybucks claims you can make big bucks – that really depends on how you define big. I think this is a big exaggeration. You can earn a bit of extra cash but it is very unusual to see a survey panel using a term like “big bucks” as this might give you the wrong impression. So just to clarify – you can earn a bit of cash on Saybucks but with the limited amounts of available surveys, you should not expect too much. Even getting to the $10 payout threshold can take some patience. In my definition, this cannot be classified as big bucks. Being able to use a survey site on mobile is a great way to be able to earn on the go. Saybucks’ website is optimized for mobile so you can log in and use it here. But as already mentioned, you do not really need to log in very often as the surveys will be sent via email. So as long as you have access to your email on your mobile, then you are able to take the Saybucks surveys on all devices. Saybucks is only available in certain countries. At the moment of writing this review, you can join if you live in the USA, Australia, Brazil, India, Mexico, Russia, and the UK. No matter where you live, I would, however, suggest you to also join other sites in your country, as Saybucks alone does not give a lot of opportunities. It is important to be able to get support for any survey site you join. On Saybucks this is possible. On the website, there is a “contact” link at the bottom of the website. I, however, spotted something in their FAQ section you have to be aware of. There is a question about why you might not get an answer for a question you send to support. If you ask about something that is in the FAQ, you will not receive an answer. Apparently, the support will not answer you if they believe the answer already is in the FAQ section. In my opinion, this is poor customer service. I understand that it is best for all of us to first check the FAQ section to save time. But that they will just not reply if you could not find the answer is a bit rude. Anyway, this is just something you have to be aware of. But if you have a question that is not answered in the FAQ section it seems like you can get an answer from their support. Saybucks is a legit site and it uses legit payout methods. This does, however, not mean it will necessarily be worth the time. 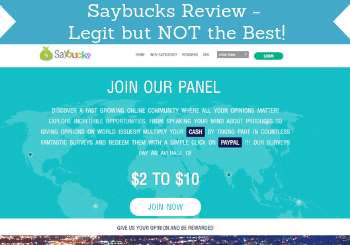 Overall, Saybucks is a site you can join to earn a bit of extra cash by sharing your opinion in online surveys. It is, however, in my opinion, definitely not the best survey site. If you decide to join it, it should be as an extra site, but you should make sure to also join other sites as Saybucks alone will just give too few survey opportunities. You can, for example, check out the best paying survey sites in your country here. All of these offer more opportunities, in my experience. If you have any comments, questions, or have any experiences with Saybucks yourself, I would love to hear from you in a comment below. Saybucks is a legit survey site. But it has limited survey opportunities, and you need to be aware that it is NOT a way to make big bucks even though this is what they say on the website. Overall, it can be fine to join as an extra site, but you should definitely also join other survey sites, as Saybucks alone will give very limited opportunities, in my experience.